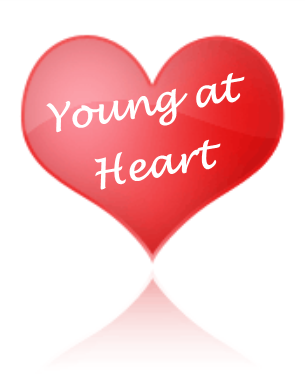 ​Young at Heart is a fellowship group for persons age 55 and older (i.d. not required). The group meets monthly, usually on the 2nd Friday of the month, for a pot-luck dinner followed by a program. All who are “young at heart” are invited. Just bring a covered dish and your own table service and enjoy an evening of fellowship. It is a great way to meet other church members and make new friends. Contact Linda Morrow (814-237-5858), George Pedlow (814-574-7645) or the church office, 814-238-2422. What does a hospital chaplain do and how has the role changed in the last several years? Young at Heart will gather on Friday, April 26 for a potluck dinner and a presentation by Rev. Peggy Lindsey, who served as a hospital chaplain for over thirty years. You are invited to hear her perspective on some of the changes in hospital chaplaincy care, as experienced in different hospitals, the importance of spiritual care for those who are ill, and what she would like you to know, from a chaplain's perspective, if you or a loved one are ever hospitalized. What if you think you don't fit in the "Young at Heart" demographic? Please, join us anyway for the supper and this very interesting presentation.The evening always begins as we gather about 5:00 in the Social Hall for conversation over coffee/tea while you set up your things for the potluck supper. Bring a main course, salad, side or dessert to share (your choice), 2 utensils to serve it, and your own table service plus a name tag. Your own table service means: dinner/dessert plate (s), silverware, cup(s) for water/coffee/tea and a napkin. The potluck buffet starts at 5:30 and the program follows, usually about 6:30 pm. We are typically out about 7:30 pm.